This was really cool workshop taught by one of our favorite guest makers, Sibel Deren Guler. 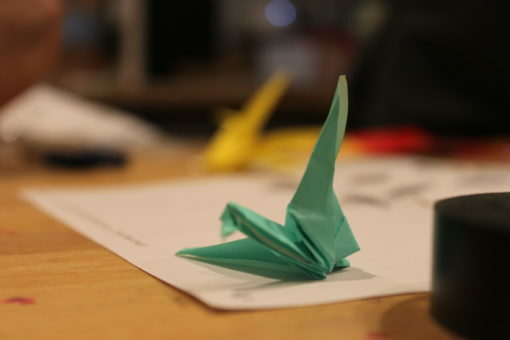 Visitors were able to explore and learn how to create several origami projects. They were then encouraged by Deren and me to add lights and motors to their creations. This was the first time I witnessed activated origami and I loved it. These special workshops in the MAKESHOP are great. You get to learn about something new and really spend some time creating something. It’s a lot more intimate and you have a private space reserved for the workshop. There is a real investment in the projects created during these workshops. We have workshops almost every Saturday afternoon. Visit our blog for more details.